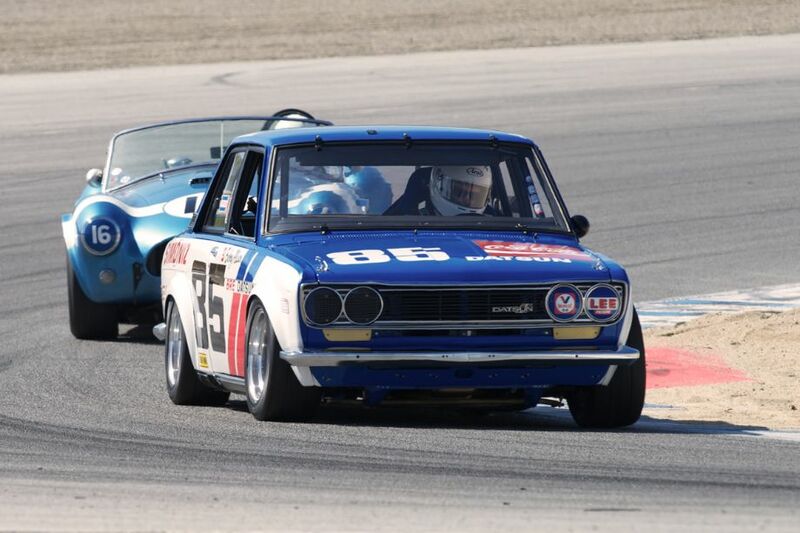 Historic Motor Sports Association (HMSA) held its Spring Club Event at Mazda Raceway Laguna Seca on March 23-24, 2013. 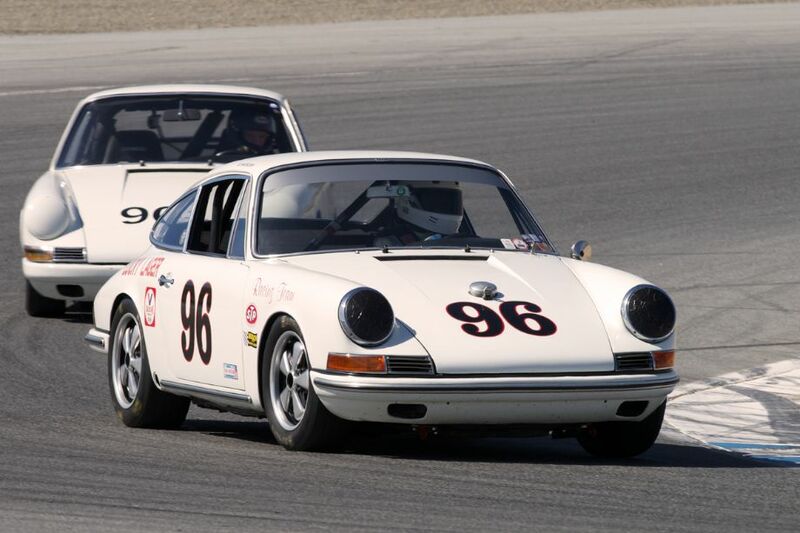 The March club event featured nearly 150 historic race cars circling the 11-turn, 2.238-mile road course in Monterey, California. This year’s event celebrated the life of Martin Swig, who passed away on July 3, 2012. The quintessential West Coast “car guy,” Swig was remembered over the race weekend for his numerous contributions to the collector car community, including the famed California Mille. 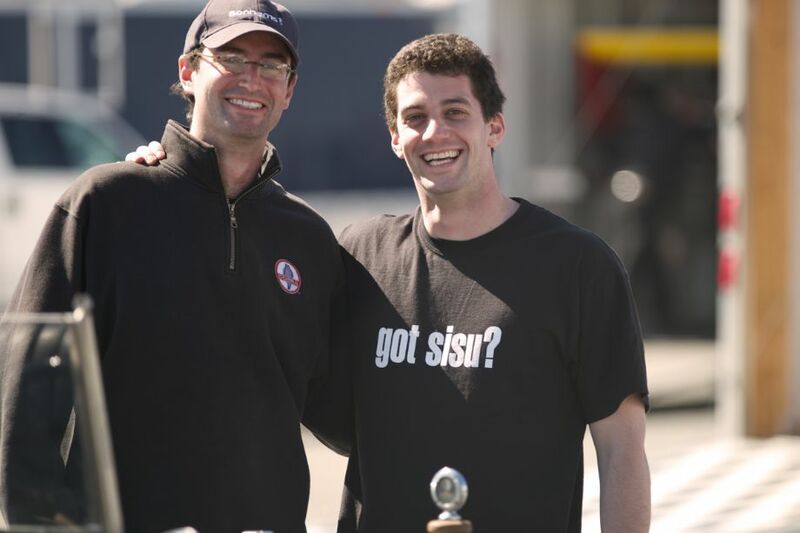 A selection of his cars was displayed and raced at the event by Swig’s sons, David and Howard. Notable entrants at the 2013 HMSA Spring Club Historic Races included Erickson Shirley’s Costin-bodied Lister Jaguar; Chip Conner’s Shelby FIA 289 Cobra, IROC Porsche 911 RSR, and Porsche 935; Peter Giddings’ Alfa Romeo Tipo C 8C-35; David Swig’s Monsterati; Sharon Wardman’s Rene Bonnet D-Jet; Jonathan Feiber’s 1960 Maserati Tipo 61 Birdcage; Dennis Singleton’s Porsche 911 RSR 3.0; Marty Stein’s Siata 300BC; Alex Curtis’s Mercedes-Benz 300SL; a trio of Shelby Cobras owned by Lynn, Steve and Tim Park, and a great selection of Alfa, Datsun, and BMW coupes. We have split up the nearly 160 pictures that we captured at Mazda Raceway Laguna Seca into two galleries. The first gallery features our top 64 images, all displayed in the full-width view of our website. The second gallery, meanwhile, is found on the last page of the article and gives a comprehensive view of all the photographs. 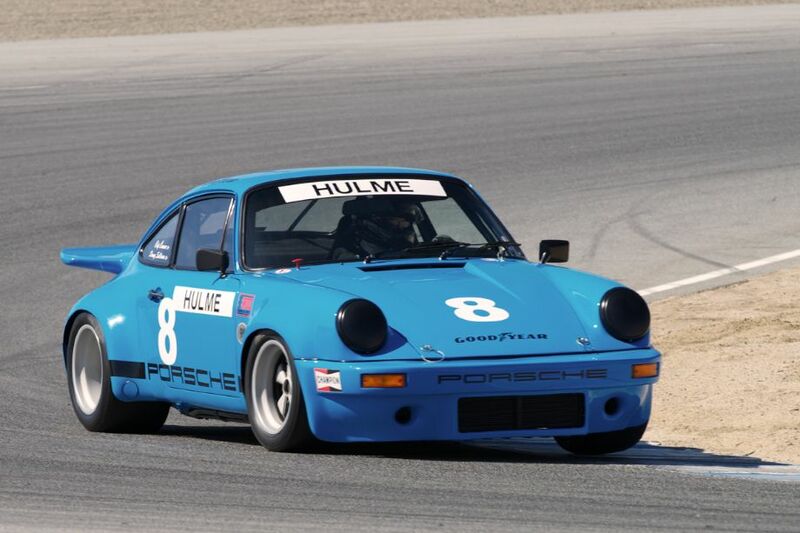 Chip Conner’s 1974 Porsche 911 RSR IROC. 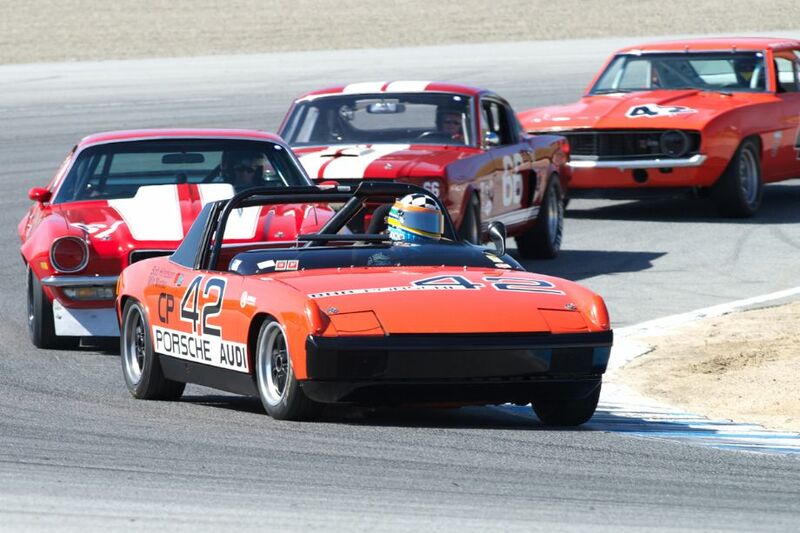 Edie Arrowsmith’s Porsche 914/6 leads in two. 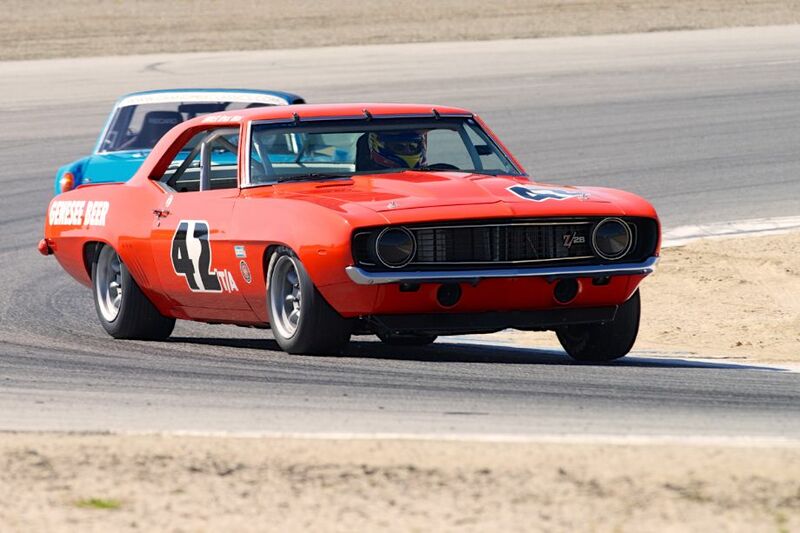 Jim Reed’s 1969 Chevrolet Camaro in two. The trio of Shelby Cobras from the Park family – Steve, Lynn and Tim. 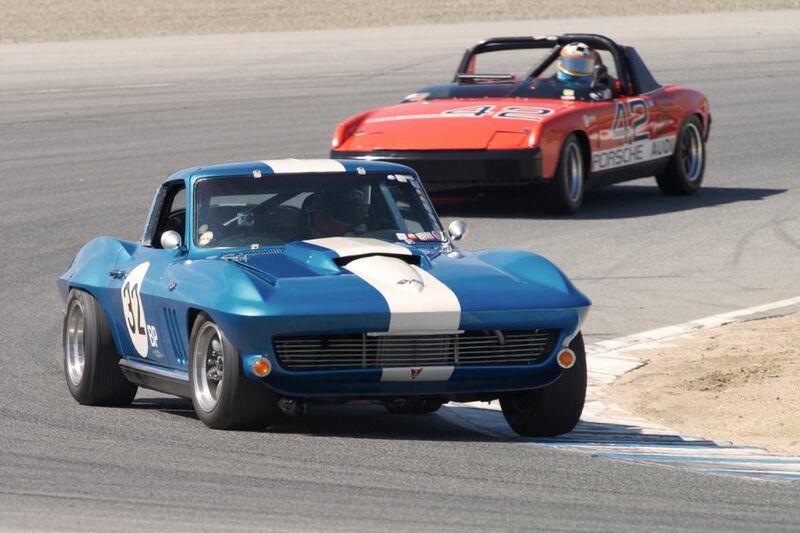 Phil Scheinberg’s 1966 Chevrolet Corvette in two. Ed Matsuishi’s Porsche 911R in two. Keeping the Flame Alive – David and Howard Swig. Thank you Dennis, great to see some “Historic Racers” are still able to have fun in the sun somewhere in the world. Whereas here in Sweden, Scandinavia, we still have snow lying deep on the ground. And the rest of Europe is not fairing much better. Thanks for showing photographs of some of the cars we will probably never see over our side of the pond. These always make your reports even more interesting than normal… Cheers from a frozen Sweden. I think the new layout is really great ,love the idea of favourite pix then a whole index at the end . Yep thumbs up . 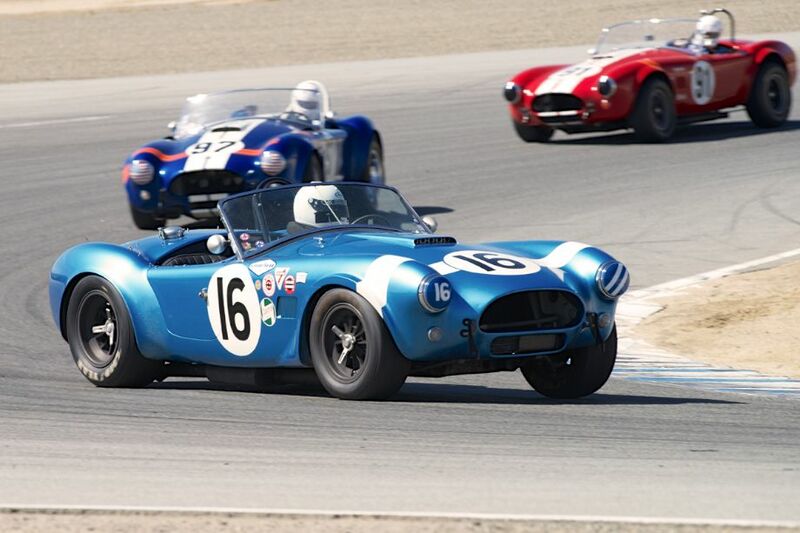 The choice of # 16 Cobra for your lead photo is a great one.